“I want to thank CapeNature for giving us this opportunity, it means a lot to us and it really opens doors for us.” These are the words uttered by Nosicelo Luhabe after receiving her certificate for her tremendous work as a Pupil Field Ranger under the Expanded Public Works Programme (EPWP). During the month of August this year, CapeNature celebrated some of the amazing women in the organisation. Here is the story of Nosicelo Luhabe. She started as a general worker in 2015 and qualified as a Pupil Field Ranger in 2018. “My journey at CapeNature started as a General Worker. Soon after that I became a Pupil Field Ranger and I moved to a new position as Admin Assistant at a company called Contour Enviro Group (CEG), after receiving my certificate at CapeNature. I wouldn’t have been where I am today if it wasn’t for the EPWP project and CapeNature. I am very thankful for the opportunity that I was given. 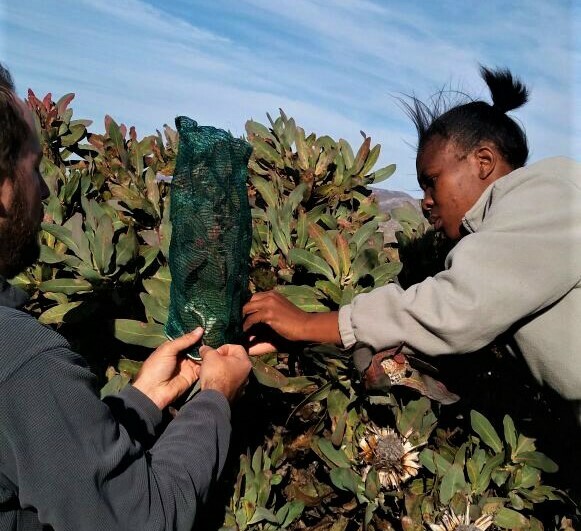 Within the EPWP Programme, I was able to get training that was very helpful to my career, not to mention the support we received and the in-house training that CapeNature senior staff went out their way to provide us with. Working with the Rangers team has helped me grow tremendously, especially in my three-year journey with CapeNature. Nosicelo says she studied Mixed Farming in Agriculture, which involves growing both crops and raising livestock. This opened her eyes to what nature really is. “We don’t know nature up until we start doing something within Nature,” she says. Nosicelo has found a permanent job in the field that she loves the most, Environmental Education. 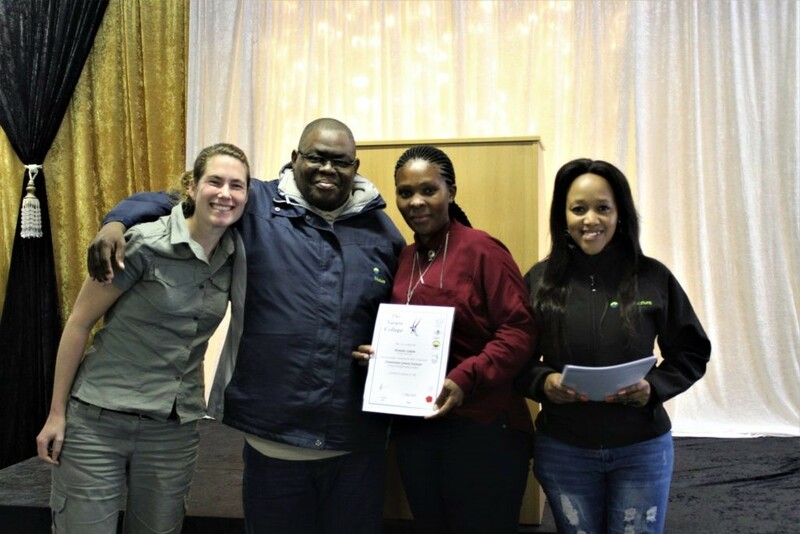 Nosicelo also holds a Pupil Field Ranger certificate under the EPWP Programme. Andrie Sommers, you believed in me even when I didn’t, you were such a motivation and someone I look up to. You pushed me to things that I never thought I would ever be able to do and thank you for that. Rangers: it is with much appreciation and gratefulness that I am here today; Ryan, Milisa, Garth, Oom Gert, and the late Oom Jimmy, your hard work and absolute dedication to me has been noticed by me and the company that I am with now. On that special note, we would like to give a great thank you to all the women who work at CapeNature. Your hard work and determination is an inspiration to us all.